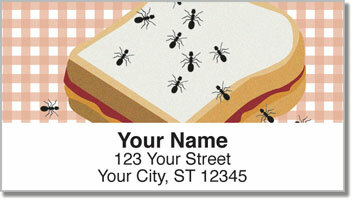 Even though ants may pose a pesky problem if you're planning a picnic in the park, you have to admire their work ethic. If you ever owned an ant farm as a kid, you probably remember watching in amazement as the six-legged workaholics tunneled the day away. These little guys can carry objects that are 50 times heavier than their own weight, which would explain why an ant army just carried of your hoagie. 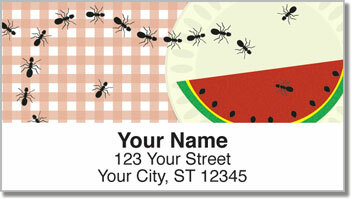 Picnic Ant Address Labels from CheckAdvantage are designed to make you smile. They'll add some humor to your otherwise boring envelopes. Plus, you'll save a ton of time by eliminating the need to painstakingly write your name and address by hand all the time. 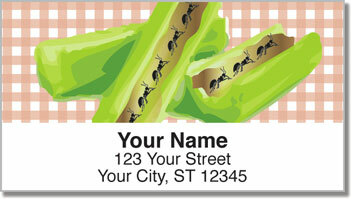 Get your own Picnic Ant Address Labels now! 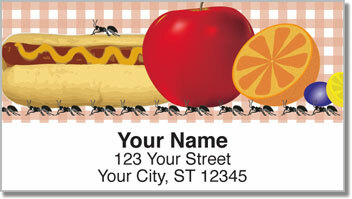 Complete you order with matching personal checks.